GRAAAAAAILZ!! Mommy and Baby MO Ponies. It took years and years, but I finally managed to snag the MO Mommy and Baby pony set! As a genuine crazy cat lady (6 and counting! ), any pony with cats or kittens in an instant must have. These two were just so hard to find at reasonable prices that I never thought I'd own them, but the Pony Powers That Be smiled upon me, and I was able to buy them separately at a reasonable prices and then reunite mommy and baby. Mommy's hair is faded white but still with factory waves, and her symbol is unfortunately faded. Baby's face has sadly been chewed on by some child, so she'll need some very delicate plastic surgery (haha!) to reduce the very obvious teeth marks in her poor muzzle. Baby has had a haircut also, but real foals have very short manes and tails and still look adorable, and she rocks her new style with real flair. Despite their flaws, I am absolutely over the moon to have these precious ponies at last! Does anyone know why this set is sometimes referred to as "Beechy/Beachy Keen"? I know they came from the "A Day at the Beach" pamphlet, so I get the reference... but is that name official anywhere, or did it just grow from the collectors' vernacular? Re: GRAAAAAAILZ!! Mommy and Baby MO Ponies. Wow, congrats!! They look so sweet together! And I'm so happy for you that *The Pony Powers That May Be* looked upon You with so much Loving Ponyness! That is awesome that you got the both!!! Congrats!!! I had this set as a child and loved it! But I had to sell due to needing money! They both still had there pink hair when I sold them! I sold them to a member on here and hope someday they might sell back to me! They are awesome! It’s unfortunate that a kid decides to chew on one, but it really isn’t that noticeable on the photos! You could always re-pink the hair too if you wanted to. The waves are gorgeous. Congrats! They are beautiful, and their body color is so vibrant. Congratulations! This set is gorgeous, what a score Huge congrats starstrider! The Beachy Keen name is not official, I'm pretty sure. I don't know about the Beachy Keen either I'm afraid, though I have also wondered. Hoping someone else will be able to clarify for certain. What a gorgeous pair to own, especially with their cat theme being so personally tailored to you. So glad you finally got them both. Good things are worth waiting for! Congratulations! Isn't getting a grail exciting? Congrats! They are such a lovely pair together! I love the magenta skin colors and wavy baby pink manes. Just curious, did they cost a bit over $500? I was very fortunate with these ponies, both were very well priced. 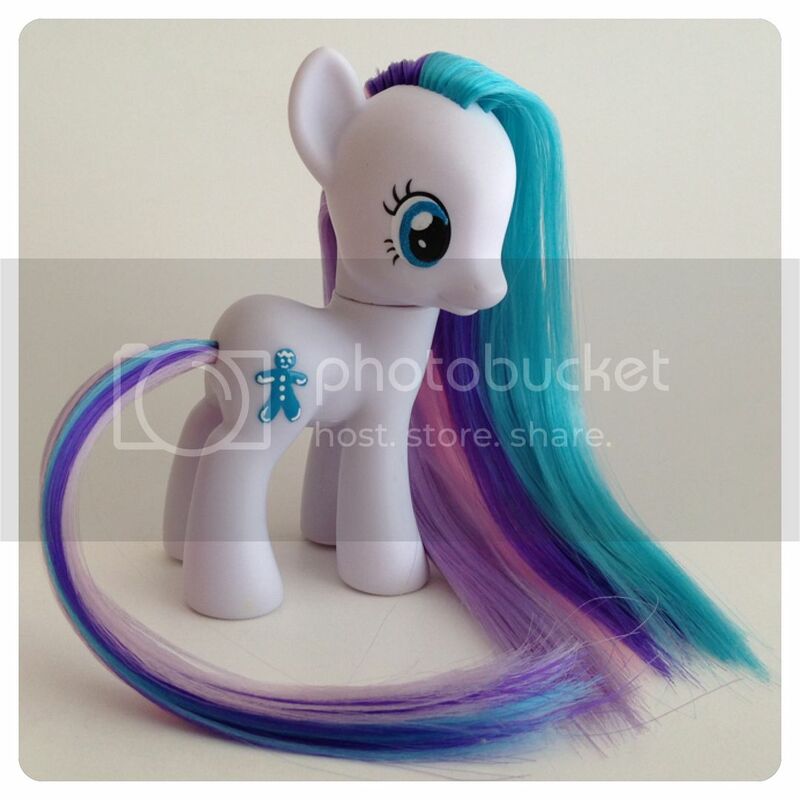 I paid $140 USD for baby (chew marks and faded hair, and haircut reduced the price), and paid $190 for Mommy pony (faded symbols and hair). I have recently seen them for sale as a set for $500 and also $600 USD, but those prices usually include accessories and the ponies are usually much mintier condition-wise. Wow, that's at least $100 cheaper! Good luck if you plan on restoring them, I can already see how wonderful they'll look! Huge congrats!! They are beautiful!